The Tacoma Arts Commission is proud to support our community through arts funding, public art, community programming, technical assistance, stewardship, and advocacy. 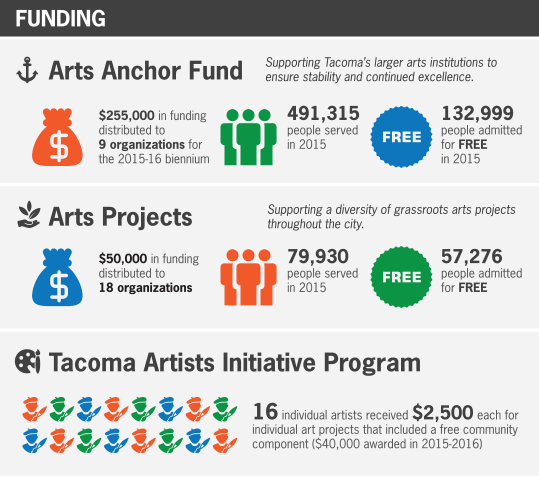 You can read more about the 2015 accomplishments of the Tacoma Arts Commission here. 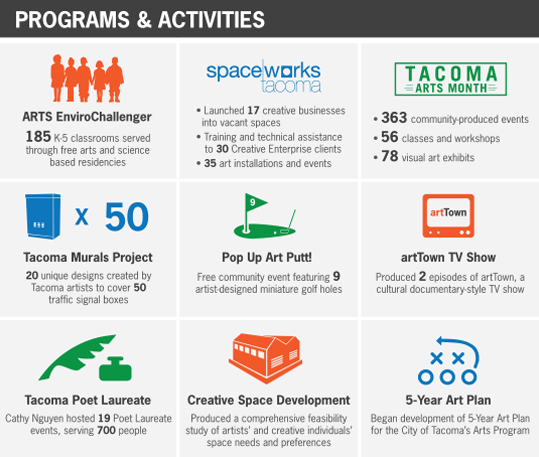 Find out more about how the Tacoma Arts Commission serves our community at cityoftacoma.org/arts. $5 tix to arts events? Yes, please! The Arts & Culture Coalition of Pierce County and the City of Tacoma are working with TeenTix in hopes of bringing TeenTix to The 253 ($5 day-of tix to arts and culture events for teens 13 – 19)! The most important part of this feasibility study is hearing from Pierce County teens about how the arts fit into their lives now, and if/how that could change if TeenTix was introduced here in Pierce County. Please pass the word of this survey on to any Pierce County teens you know and encourage them to fill it out! TeenTix was founded in 2004 by Seattle Center and in partnership with ten of the resident arts organizations on the Seattle Center campus. In 2006, TeenTix began adding partners outside of Seattle Center. Currently, 60 arts organizations throughout the Puget Sound region participate in the TeenTix program, including Seattle Symphony, Seattle Art Museum, Seattle Opera, Pacific Northwest Ballet, Seattle Repertory Theatre, Seattle International Film Festival, EMP Museum, 5th Avenue Theatre, and ACT Theatre. 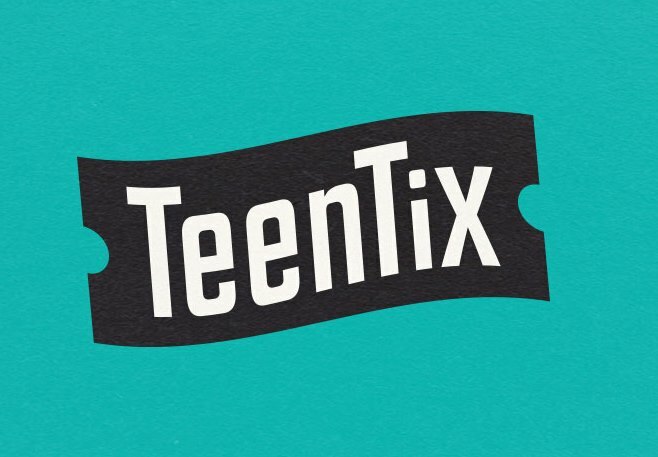 To date, TeenTix has facilitated the sale of over 70,000 arts tickets to teens. Any teenager (13-19 years old) can sign up for a free Teen Tix pass. The pass entitles them to purchase $5.00 day-of-show tickets at any TeenTix partner organizations. But TeenTix is about much more than cheap tickets. They also provide opportunities for teens from all backgrounds to engage deeply with the arts, such as arts leadership training in The New Guard: Teen Arts Leadership Society, and arts criticism training through the TeenTix Press Corps. Over 80 teen contributors make the TeenTix blog Seattle’s best source of youth-centric arts coverage.